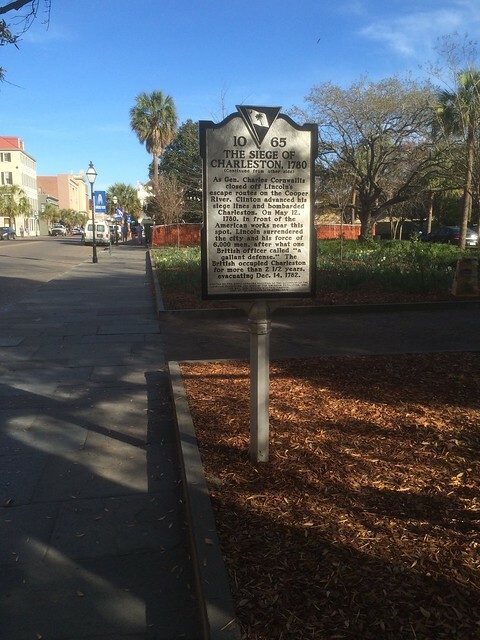 This marker is located on King Street, at the northwest corner of Marion Square near Hutson Street, Charleston, South Carolina. The GPS coordinates for this location are N 32° 47.207 W 079° 56.209. 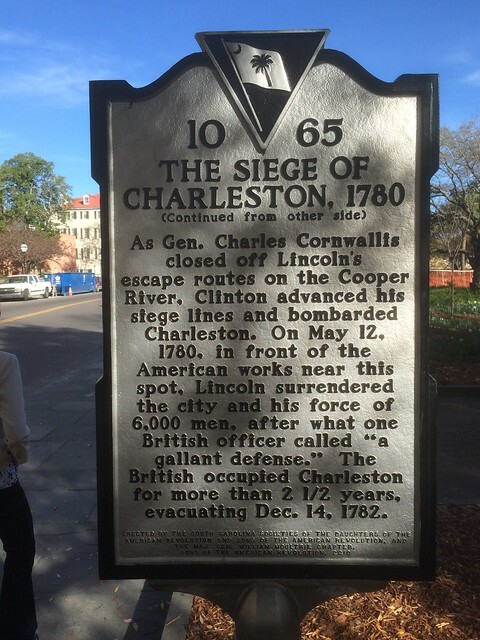 The British capture of Charleston in May 1780 was one of the worst American defeats of the Revolution. 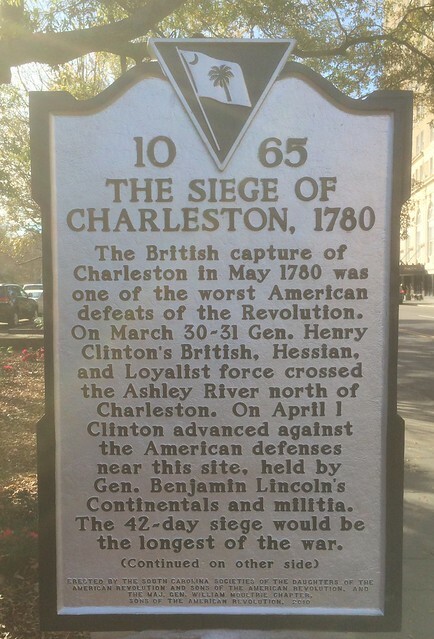 On March 30-31 Gen. Henry Clinton’s British, Hessian, and Loyalist force crossed the Ashley River north of Charleston. On April 1 Clinton advanced against the American lines near this site, held by Gen. Benjamin Lincoln’s Continentals and militia. The 42-day siege would be the longest of the war. As Gen. Charles Cornwallis closed off Lincoln’s escape routes on the Cooper River, Clinton advanced his siege lines and bombarded Charleston. On May 12, 1780, in front of the American works near this spot, Lincoln surrendered the city and his force of 6,000 men, after what one British officer called “a gallant defense.” The British occupied Charleston for more than 2 1/2 years, evacuating Dec. 14, 1782.